Due to the change in weather conditions, the Region of Durham expects to see far more ticks this season. (Photo courtesy of Health Canada). Durham Region Health Department is expecting to see an increased number of blacklegged ticks in the area this year. The department recently began its surveillance program for 2017 and Toni Moran, a senior public health inspector says a number of ticks have already been collected or submitted from the public. “I believe we are going to see far more ticks this year,” Moran says. Moran says she believes “climate change is definitely a factor” in the growth of the insect’s population, with warmer winters allowing for more ticks to survive and reproduce. She described Durham Region as having an “ideal habitat” for blacklegged ticks. “There is a lot of woody, bushy areas, deciduous forests and deep leaf litter where ticks are able to survive,” Moran says. The area is also a migration hotspot for birds that can carry the ticks across large geographical areas and has significant populations of animals such as mice, rabbits and deer, all preferred targets of blacklegged ticks. Since the health department’s surveillance program began in 2010, approximately 130 ticks have been tested for Borrelia burgdorferi, the bacteria that causes Lyme disease. Out of those ticks, 11 have tested positive for Lyme disease bacteria, a rate of about nine per cent, which Moran says is a relatively low figure. Forty-six of the ticks were collected through “drag sampling”, a process that involves dragging a piece of white flannel cloth over and around vegetation where ticks may be present. Seven of the 46 ticks have tested positive for Lyme disease bacteria. The health department also accepts ticks brought in by residents and sends them off for identification and testing. In the past five years, 83 ticks having been submitted through this method, with four testing positive for Lyme disease bacteria, however, Moran explained that only one of those had originated from Durham Region. Moran says that often ticks are brought in from other areas where residents may be camping or partaking in other outdoor activities. It is also important to note that ticks taken off pets should not be brought to the health department. “Anyone with animal health concerns should be contacting their veterinarian,” Moran says. If someone finds that a tick has attached itself to them, it is crucial to remove it as quickly as possible as transmission of the Lyme disease bacteria usually requires the tick to be attached to its host for 24 hours. Although the risk of becoming infected with the Lyme disease bacteria is relatively low, Moran says to contact a health care provider as soon as symptoms occur. Moran says the bacteria can also be difficult to detect, as it can hide itself within the body. 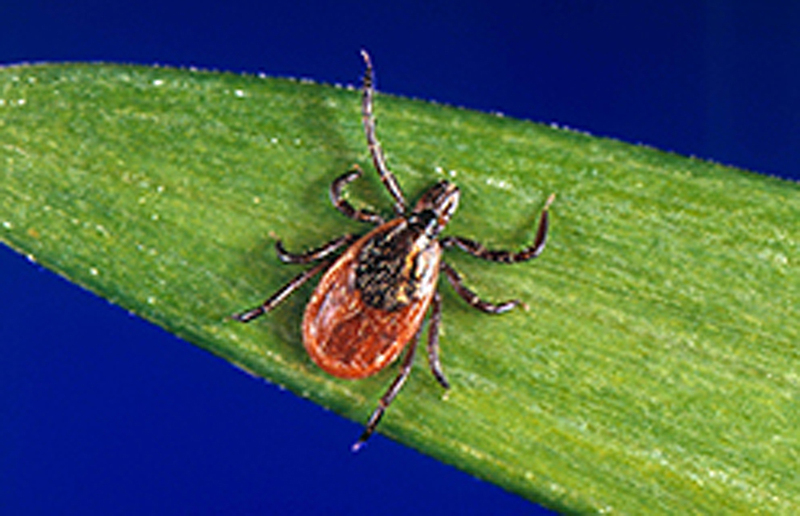 Early symptoms of Lyme disease usually occur a week or two after a tick bite, but can range anywhere from three days to a month. Symptoms include fever, headache, muscle and joint pain, fatigue and a red rash that often looks like a bull’s-eye target. Lavalin scandal really a lovers quarrel?